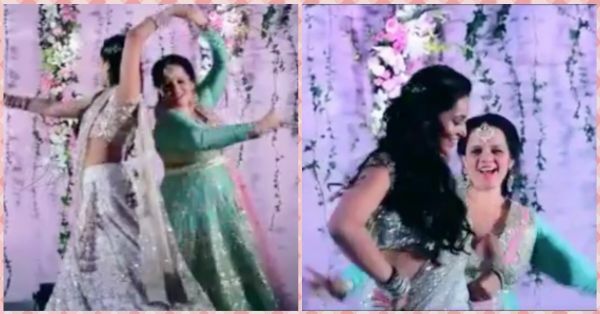 This Bride's Adorable Dance With Her Maasi Is Making Us Wish We Could Hug Ours Right Now! Sangeets have got to be the most enjoyable function of a desi wedding. Grab a drink from the bar, hold your partner's hand, hit the dance floor and twirl the night away. I especially love the practised dance performances because just seeing the hard work that the friends and family members put into making the day a special one is beautiful. This bride, Anushka Suri Shah danced with her maasi on one of her pre-wedding function and that's just so heartwarming. The bond between an aunt and her niece is so pure and special. It's almost like having a second mother! 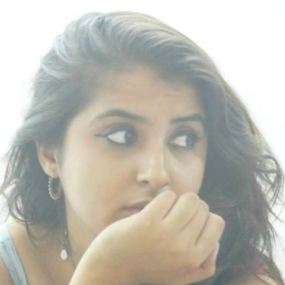 This maasi-niece jodi performed on 'Navrai Majhi' from Sridevi's film English Vinglish in which she too essays the role of a loving aunt for her niece who is ready to take the saat phere. Wasn't their dance absolutely stunning? The coordinated steps, swaying to each beat in sync and also the look of their ghaghras spinning as they twirled, WOW! However, most of all we love the sheer love for each other that reflected in their dance. Sending our wishes to Anushka, you looked like a dream! If You Don't Have *Itna* Swag On Your Wedding, Then You Need To Up Your Game!